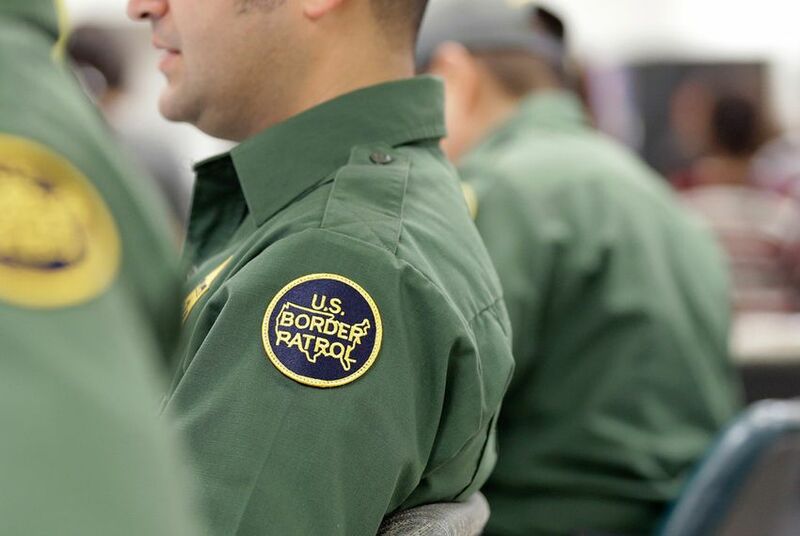 MCALLEN — Federal immigration agents apprehended nearly 97,000 more people trying to enter the U.S. illegally through Texas’ southern border during the 2014 fiscal year than they did in 2013, the Department of Homeland Security announced on Friday. About 332,460 people were apprehended in Texas between October 2013 and September 2014, up from 235,600 the year before. Nationwide, agents apprehended about 486,600 people in fiscal year 2014, compared with 420,800 in 2013. The government attributed the increase to the influx of undocumented children and families caught in Texas during a mass exodus from Central America over the summer. “While Border Patrol apprehensions of Mexican nationals in FY 2014 decreased by 14 percent when compared to FY 2013, apprehensions of individuals from countries other than Mexico — predominately individuals from Central America — increased by 68 percent,” the agency said in its annual report. About 50,000 unaccompanied children were caught or surrendered to border agents in the Rio Grande Valley sector in fiscal year 2014, compared with 21,550 in 2013. An additional 3,800 and 3,270 were apprehended in the in the Laredo and Del Rio sectors, respectively, in 2014. Overall, about 68,600 unaccompanied minors were apprehended along the southwest border, an increase of 77 percent from 2013. There were also about 68,400 family units apprehended in 2014 on the southwest border, including about 52,300 in the Rio Grande Valley — an increase of more than 500 percent in that region compared with 2013’s 7,265. The state’s Republican leadership responded to the influx this year by sending a surge of Department of Public Safety officers to the Rio Grande Valley in June. Weeks later, the Texas National Guard was deployed to assist in the mission. Gov. Rick Perry, House Speaker Joe Straus and Lt. Gov. David Dewhurst said last month that the operation would extend through August and cost about $86 million. It will be expanded to include the entire Texas-Mexico border, though the National Guard’s efforts will be drawn down gradually and be completed by March. Since October of this year, the number of children traveling alone has dipped, though the Rio Grande Valley continues to receive the most. From October to the end of November, about 3,200 children were apprehended in the Rio Grande Valley sector, compared with 5,460 during the same time frame last fiscal year. In addition to the increase in apprehensions, Customs and Border Protection and Border Patrol agents also seized about 1.017 million pounds of drugs in Texas, a slight dip compared with 1.2 million pounds in 2013. About $7.7 million in cash was seized last fiscal year, compared with $13.6 million in 2013.